Prospect Hill Plantation. Photo by Michael Chapman. The Archaeological Conservancy is raising funds through the crowdfunding site Indiegogo for the preservation of the Prospect Hill Plantation in Jefferson County, Mississippi. For the past several years preservationists have watched in alarm at the slow deterioration of this historic home and adjoining family cemetery. The site encompasses several archaeological features on over 23 acres. Prospect Hill was founded by Revolutionary War veteran Isaac Ross, who came to the Mississippi Territory in 1808 with a large contingent of slaves as well as free blacks who had served alongside him in the war. The plantation’s history is unique among historical sites in the United States and has significance to the history of Liberia, located in West Africa, as well. It is as much about African-American history as it is a tale of a divided slave-owning family, and it spans more than 200 years and two continents. The existing Prospect Hill house is actually the second on the site. Ross’s original mansion was burned during a slave uprising and the current house was built by his grandson in 1854. Out of fear that they would be mistreated by a subsequent owner, Ross wrote in his will that at the time of his daughter Margaret’s death his slaves would be emancipated. He then instructed that Prospect Hill would be sold and the money used to pay for his slaves to go to the West African colony of Liberia, which had been set up for the purpose of “repatriation” by a group known as the American Colonization Society. Ross felt that this was the only way for the slaves to gain control of their destiny. In 1845, a group of nearly 300 Ross family slaves made the journey from Prospect Hill to New Orleans, and then across the ocean to Africa. The Conservancy is not set up to restore and maintain historic structures, but due to the site’s important archaeological remains and distinctive historic significance, we acted quickly to acquire the property in 2011. We have relied on assistance from volunteers and donations to try to stabilize the antebellum house with the main focus directed on the roof. Recently, an individual has expressed interest in purchasing and restoring the house completely, provided that we raise funds for the roof. The Conservancy will retain a protective archaeological easement on the grounds, achieving our mission to protect the archaeological resources and prevent the destruction of any cultural material. We have obtained a $50,000 emergency grant from the Mississippi Department of Archives and History that required a $12,000 match, which we surpassed. The estimate for the new roof is $125,000 and we need to raise $35,000. To help the Conservancy raise the remaining $35,000, please visit the crowdfunding site Indiegogo at Saving Prospect Hill. We have organized contribution amounts into tiers, and each amount corresponds with a specific benefit. The larger the donation, the bigger the benefit. 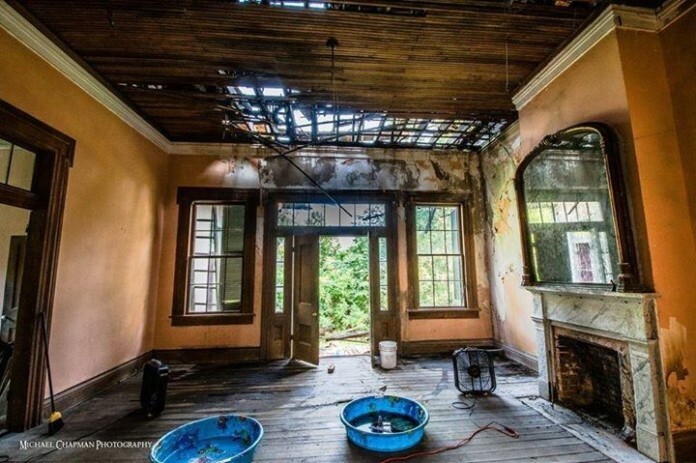 These range from a card and feathers from Isaac, the resident (and famous) peacock, to t-shirts, signed books and a private viewing and cocktail party once the home is fully restored. Participation in this project will be tax deductible. Am doing family history and seeking information on John Robson, late 18th, early 19th century, who apparently had some connection with Prospect Hill Plantation in Adams County, Mississippi. Any information on him, or am I barking up the wrong tree? Thanks for any enlightenment you can provide. Our Southeast Regional Director would be the one to help point you in the right direction. She is very familiar with the site and all the research that has been done on the Plantation. Her name is Jessica Crawford, you can contact her at tacsoutheast @cableone.net. Wish you all the best of luck with your research!